The NHL’s Department of Player Safety has been busy in this young postseason. Tampa’s Nikita Kucherov was handed a one-game suspension for boarding, Toronto’s Nazem Kadri is probably going to get something like five games for this, and now it’s Joe Thornton’s turn for a hearing. Thornton was given a minor penalty for this hit to the head of Tomas Nosek in Sunday’s Golden Knight’s win over San Jose. If I had to guess, I’d peg a suspension at one game. 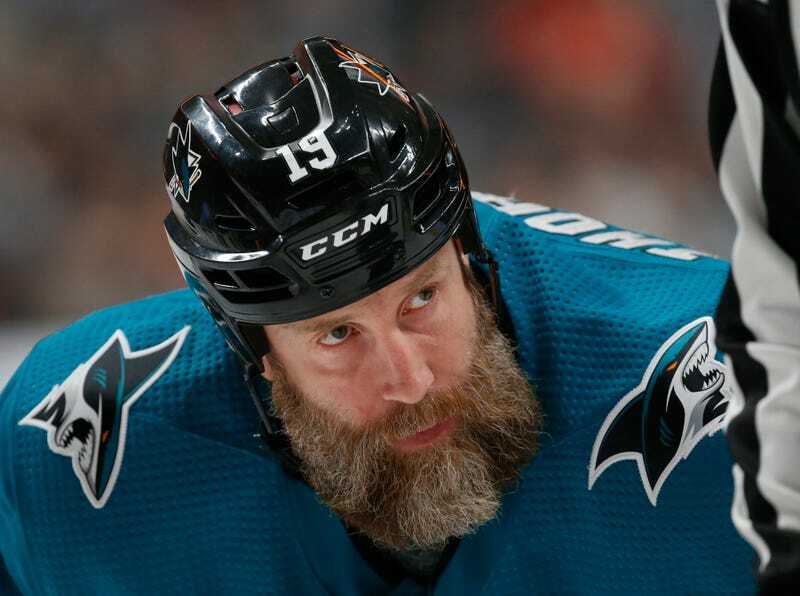 It was a needless hit, but Thornton doesn’t have much of a disciplinary history over his long, long NHL career, with just one previous suspension. One additional mark on his limited record was a fine this March, handed out to both players after Thornton’s scrap with Vegas’s Ryan Reaves. So naturally, Reaves had something to say about Thornton potentially having to watch Game 4 from upstairs. That’s very good, and very mean.